Barbecue is something of an art form. Meat smoked slowly to perfection, melt-in-your mouth tender and tasty. Nearly 20 years ago, I went with a friend to a barbecue joint in the wilds of Alabama for just such a meal. My friend, a born-and-bred southerner, schooled me in the ways of barbecue – something a western girl like myself knew nothing about. Meat was to be seasoned and smoked until it was falling apart. Then, and only then, could sauce be added. The interior of the restaurant was simple and plain, and the food was served on paper plates, but after one bite I scarcely knew where I was, much less cared about the décor. The depth of flavor, the richness of the sauce, and the smoky sweetness of the meat captured all my senses and left me wanting more. I haven’t been to Alabama since that trip, and I figured that kind of barbecue was unavailable to me here. I was wrong. Just up the road in Centennial, Yazoo Barbecue Company is smoking up authentic southern barbecue – dry-rubbed pork shoulder, brisket, ribs and chicken -- with recipes based on owner Don Hines’ upbringing in the south. Named for Hines’ hometown in the Jackson, Mississippi area, Yazoo has been in Denver for 12 years – first in the downtown area, and in Centennial for the last six years. Yazoo Barbecue Company serves up authentic southern barbecue to crowds hankering for sweet, smoky flavor. All the meat at Yazoo is smoked on site, at a low temperature for a long time – sometimes as long at 18 hours. 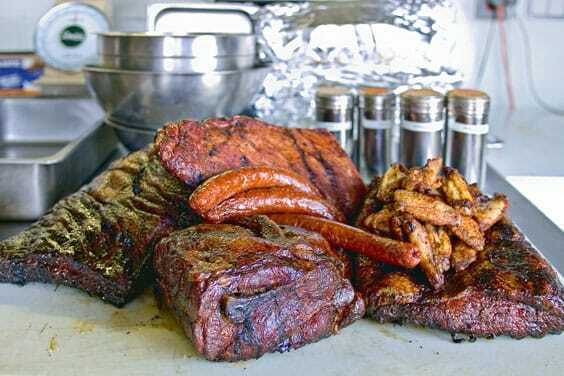 Pecan wood is used to smoke the meat, which Hines likes for the sweet flavor and light color it imparts to the meat. Sauces, which Hines emphasizes are optional when consuming barbecue, are based on results of blind taste tests among his friends when he opened his first location downtown 12 years ago. They range from sweet to very, very spicy. Pork shoulder is a perennial favorite at Yazoo – Hines describes it as his “love and joy.” The specialty of the house is the “Bob,” a combination of chicken, bacon and jalapeno. If you want a “Bob” you might want to plan on arriving early – Yazoo makes a limited number of them each day, and when they’re gone, they’re gone. Sides are authentic southern favorites like sweet baked beans, potato salad, cole slaw, and pickled green beans made from a Hines family recipe. Barbecue is perfect party food for the summer – it easily feeds a crowd and guests can enjoy a number of sauce options to customize their meal. Take out is always available, though if you’re hosting a large group you’ll want to call a day or two in advance. (For groups larger than 100, Hines recommends calling a week in advance.) Yazoo offers catering services too. Yazoo Barbecue Company is located at 9555 E. Arapahoe Road in Greenwood Village and 2150 Broadway in Denver, and is open for lunch and dinner daily. 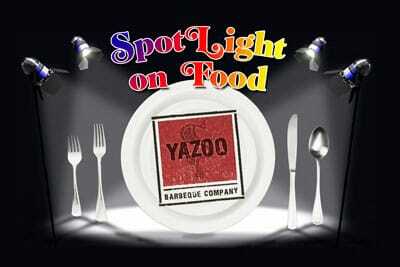 Visit www.yazoobbq.com for more information. Other details: Kid friendly and catering services available.